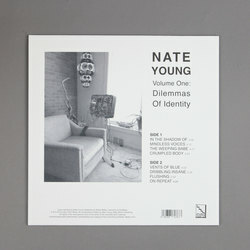 Nate Young - Volume One: Dilemmas of Identity. Vinyl 12. Wolf Eyes. 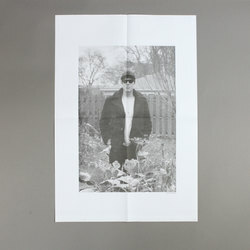 First release in a new multi-part series of solo releases by the Wolf Eyes frontman. 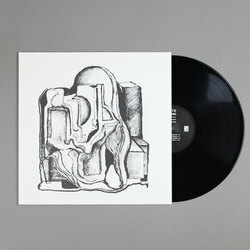 An evolution from the previous Regression material, taking in elements of classic synth soundtracks, ambient and electronic body music, but filtered through a typically off-centre Michigan underground sensibility. In the Regression series–Regression (2009), Stay Asleep (2011), Other Days (2012), Blinding Confusion (2013)–Young drew a compositional aesthetic from Italian library music and musique concrète. Since then, Young has been interpreting the traditional musical methods of rhythm and melody into complex synthesizer compositions. These songs were commonly made as a distraction from grief, seasonal depression, and isolation. Sometimes severely ridiculous and unrelenting; other times slow, sparse and strange; this material didn’t fit in with the Regression series. It was archived and unreleased until now.